On January 8, it was announced that Mizushima Hiro would be making a comeback as an actor after a 3 year hiatus through the movie "Kuroshitsuji ( Black Butler)." He last made a appearance in the movie "BECK" which was released back in September 2010. Since then, Mizushima has not appeared in a drama or movie as he was only seen in music video and CM. "Since I stayed away (as an actor) for a while, I feel uneasy." Mizushima said. He continued, "I am actually surprised at my decision to return as an actor, but I figured that to�encounter�such a great work could change my mind." His comeback movie "Kuroshitsuji" is a dark and mysterious fantasy based on Toboso Yana's ongoing manga of the same name which is currently being serialized on Monthly GFantasy.The manga was adapted into TV anime during 2008~2010, and it also got stage�performance�adaptation. 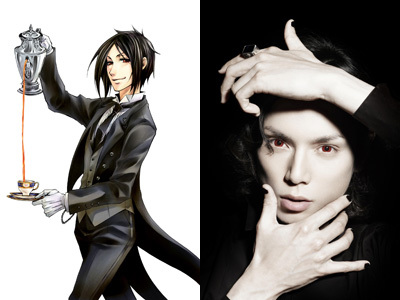 In the movie, Mizushima will play a butler of the Phantomhive household, named�"Sebastian Michaelis." His figure, culture, dignity, martial skills...he's perfect at everything. Also along with his tasks as a butler, he also solves�complicated�murder cases. 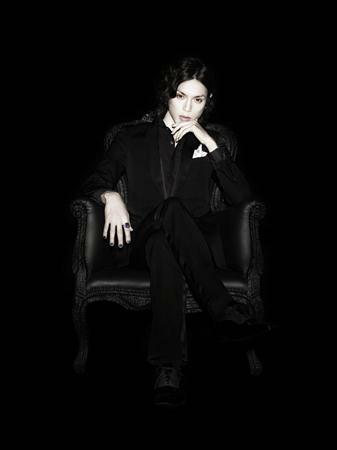 Moreover, "Sebastian" is not a human being, but a demon. Reportedly, this movie adaptation will be set in 130 years later from the manga and follow a completely original story. It is said that the producer of "Kuroshitsuji", Matsuhashi Sinzo was first offered Mizushima over a year and a half ago, with his conviction of "Only Mizushima Hiro can play this role", and eagerly visited him numerous times. Mizushima finally accepted the offer because of Matsuhashi's enthusiasm, and the fascination of the original series. Mizushima said, "Up until now, my actions were based on the answers coming from my brain no matter what I do, but this time, I will have to follow the intuition that I should believe in Matsuhashi-san and this work. Right now, I am spending every day thinking how I can make 'Kuroshitsuji' a great work. "�The filming for the movie will start in April, and prior to that, Mizushima has already started reducing his weight for the role, as well as the training for actions. The movie will be directed by Otani Kentaro and animator Sato Keiichi, and is scheduled to be released sometime in 2013.